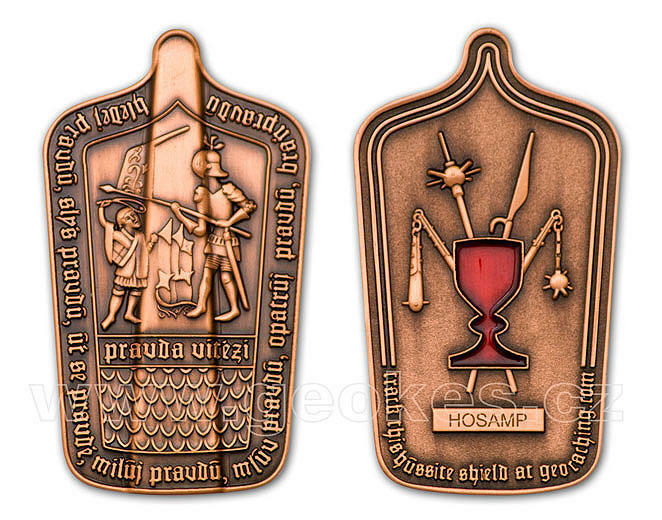 Geocoin inspired by 15th century wooden hussite shield. Symbolic figures of David - hussite peasant fighter and Goliath - invading crusader knight. 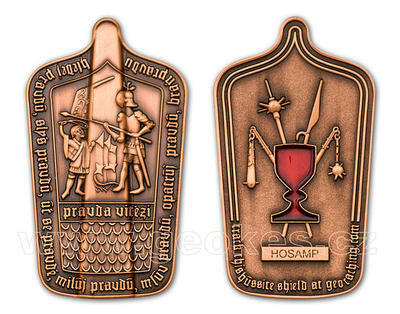 On the back side chalice - symbol of the hussite movement and some typical peasant arms. 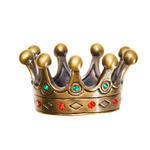 Size 50,4 x 29 mm, thickness 5 mm.